IT departments today are under enormous pressure. In the digital world, businesses have become dependent on IT to help them remain competitive. However, traditional IT departments have their roots in skills such as development or operations and have not been set up to handle a business and technology environment that is trying to rapidly adapt to a constantly changing marketplace. As a result, many IT departments today may be headed for a crisis. At one time, IT departments led technology adoption in support of business. Once a new technology was created—departmental servers, for instance—it took a relatively long time before businesses took advantage of it and even longer before they became dependent on the technology. But once a business did adopt the technology, it became subject to business rules—expectations and parameters for reliability, maintenance and upgrades that kept the technology up to date and allowed the business it supported to keep up with the market. As IT became more entrenched in organizations throughout the 1980s and 1990s, IT systems increased in size and scope as technology companies fought to keep pace with market forces. In large enterprises, in particular, IT’s function became to maintain large infrastructures, requiring small armies of IT workers to sustain them. A number of forces have combined to change all that. Today, most businesses do their business operations digitally—what Constellation Research analyst Andy Mulholland calls “Front Office Digital Business.” Technology-as-a-service models have changed how the technologies and applications are delivered and supported, with support and upgrades coming from outsourced vendors, not in-house staff. With Cloud models, an IT department may not even be necessary. Entrepreneurs can spin up a company with a swipe of a credit card and have all the technology they need at their fingertips, hosted remotely in the Cloud. Although the gap between IT and business is closing, the gulf in how IT is run still remains. In structure, most IT departments today remain close to their technology roots. This is, in part, because IT departments are still run by technologists and engineers whose primary skills lie in the challenge (and excitement) of creating new technologies. Not every skilled engineer makes a good businessperson, but in most organizations, people who are good at their jobs often get promoted into management whether or not they are ready to manage. The Peter Principle is a problem that hinders many organizations, not just IT departments. What has happened is that IT departments have not traditionally been run as if they were a business. Good business models for how IT should be run have been piecemeal or slow to develop—despite IT’s role in how the rest of the business is run. Although some standards have been developed as guides for how different parts of IT should be run (COBIT for governance, ITIL for service management, TOGAF®, an Open Group standard, for architecture), no overarching standard has been developed that encompasses how to holistically manage all of IT, from systems administration to development to management through governance and, of course, staffing. For all its advances, IT has yet to become a well-oiled business machine. The business—and technological—climate today is not the same as it was when companies took three years to do a software upgrade. Everything in today’s climate happens nearly instantaneously. “Convergence” technologies like Cloud Computing, Big Data, social media, mobile and the Internet of Things are changing the nature of IT. New technical skills and methodologies are emerging every day, as well. Although languages such as Java or C may remain the top programming languages, new languages like Pig or Hive are emerging everyday, as are new approaches to development, such as Scrum, Agile or DevOps. With these various forces facing IT, departments will either need to change and adopt a model where IT is managed more effectively or departments may face some impending chaos that ends up hindering their organizations. Without an effective management model for IT, companies won’t be able to mobilize quickly for a digital age. Even something as simple as an inability to utilize data could result in problems such as investing in a product prototype that customers aren’t interested in. Those are mistakes most companies can’t afford to make these days. Having an umbrella view of what all of IT does also allows the department to make better decisions. With technology and development trends changing so quickly, how do you know what will fit your organization’s business goals? You want to take advantage of the trends or technologies that make sense for the company and leave behind those that don’t. For example, in DevOps, one of the core concepts is to bring the development phase into closer alignment with releasing and operating the software. You need to know your business’s operating model to determine whether this approach will actually work or not. Having a sense of that also allows IT to make decisions about whether it’s wise to invest in training or hiring staff skilled in those methods or buying new technologies that will allow you to adopt the model. Not having that management view can leave companies subject to the whims of technological evolution and also to current IT fads. If you don’t know what’s valuable to your business, you run the risk of chasing every new fad that comes along. There’s nothing worse—as the IT guy—than being the person who comes to the management meeting each month saying you’re trying yet another new approach to solve a problem that never seems to get solved. Business people won’t respond to that and will wonder if you know what you’re doing. IT needs to be decisive and choose wisely. These issues not only affect the IT department but to trickle up to business operations. Ineffective IT shops will not know when to invest in the correct technologies, and they may miss out on working with new technologies that could benefit the business. Without a framework to plan how technology fits into the business, you could end up in the position of having great IT bows and arrows but when you walk out into the competitive world, you get machine-gunned. The other side is cost and efficiency—if the entire IT shop isn’t running smoothly throughout then you end up spending too much money on problems, which in turn takes money away from other parts of the business that can keep the organization competitive. Failing to manage IT can lead to competitive loss across numerous areas within a business. To help prevent the consequences that may result if IT isn’t run more like a business, industry leaders such as Accenture; Achmea; AT&T; HP IT; ING Bank; Munich RE; PwC; Royal Dutch Shell; and University of South Florida, recently formed a consortium to address how to better run the business of IT. With billions of dollars invested in IT each year, these companies realized their investments must be made wisely and show governable results in order succeed. The result of their efforts is The Open Group IT4IT™ Forum, which released a Snapshot of its proposed Reference Architecture for running IT more like a business this past November. The Reference Architecture is meant to serve as an operating model for IT, providing the “missing link” that previous IT-function specific models have failed to address. The model allows IT to achieve the same level of business, discipline, predictability and efficiency as other business functions. The Snapshot includes a four-phase Value Chain for IT that provides both an operating model for an IT business and outlines how value can be added at every stage of the IT process. In addition to providing suggested best practices for delivery, the Snapshot includes technical models for the IT tools that organizations can use, whether for systems monitoring, release monitoring or IT point solutions. Providing guidance around IT tools will allow these tools to become more interoperable so that they can exchange information at the right place at the right time. In addition, it will allow for better control of information flow between various parts of the business through the IT shop, thus saving IT departments the time and hassle of aggregating tools or cobbling together their own tools and solutions. Staffing guidance models are also included in the Reference Architecture. Why IT4IT now? Digitalization cannot be held back, particularly in an era of Cloud, Big Data and an impending Internet of Things. An IT4IT Reference Architecture provides more than just best practices for IT—it puts IT in the context of a business model that allows IT to be a contributing part of an enterprise, providing a roadmap for digital businesses to compete and thrive for years to come. 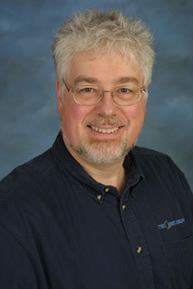 David is Chief Technical Officer (CTO) and Vice President, Services for The Open Group. As CTO, he ensures that The Open Group’s people and IT resources are effectively used to implement the organization’s strategy and mission. As VP of Services, David leads the delivery of The Open Group’s proven collaboration processes for collaboration and certification both within the organization and in support of third-party consortia. Dave thank you and a great article. I work for HP and we have been using IT4IT with multiple clients / customers and I have to say both the interest and demand around IT4IT is growing. I think we need more awareness in the industry of IT4IT (more articles like this!). My personal experience is -everyone I have shown it too is really interested – proving this addresses a GAP that we need to fill. I also feel organisations are facing initiative overload (maintaining legacy, digitisation, cloud, mobility, DevOps, security, IOT, Big Data, SIAM,,,,,,,,,) and without an architecture to map too, disaster is just around the corner! What my customers and I still find so appealing with IT4IT is the value streams. At last we can focus IT on truly delivering value – something that is long overdue in my opinion. Thank you again for taking the time to produce this and I hope to see much more on IT4IT in the future. This is very true. Although they are best at what they do, their skills are totally different when it comes to running a business. Rare are technologists and engineers who are business savvy. True you will be working with people who don’t know about IT, but at least you know that your business will be in good hands. As long as people communicate, each will see eye to eye when it comes to setting company goals.